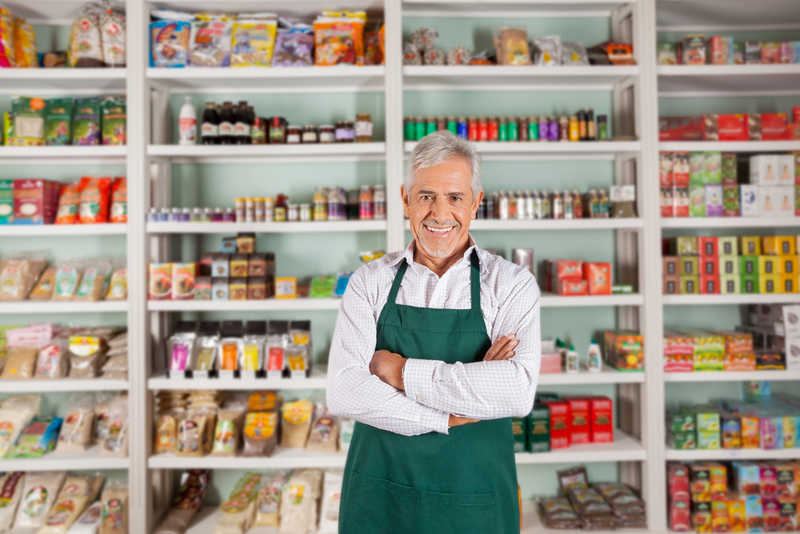 Every business–especially in South Florida–needs a good AC unit to keep the indoor air environment comfortable for employees and customers. Whether you need repairs or installation of new equipment, you can count on Aloha Air Conditioning, Inc. for service on Ruud commercial air conditioners Fort Lauderdale. If you’re still looking for a good air conditioner, Ruud is one of the best brands out there. Here at Aloha, we’ve been working on commercial air conditioning systems for over 30 years. Through our experience, we’ve been able to see first-hand just how sturdy and reliable Ruud AC units are. For your convenience, we’ve put together some of the most pertinent facts related to Ruud commercial air conditioners Fort Lauderdale, Florida. Is Ruud a Good Brand? Definitely, one of the most important details to look into when considering an air conditioner is its level of energy efficiency, as measured by SEER rating. As you might guess, an energy efficient unit uses less electricity and thus saves you money over the long-term. On the other hand, a unit with a poor grade of energy efficiency wastes electricity. Not only is that bad for the environment; it’ll continually hike up your utility bills! Fortunately, Ruud commercial air conditioners Fort Lauderdale are some of the most energy efficient products on the market. Ruud makes AC units with SEER ratings as high as 19 and 20–which is considered an industry-high. Ideally, your air conditioner should last you a long time. 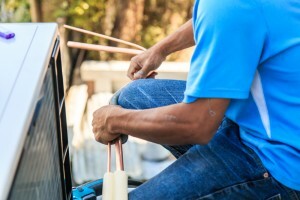 Although we’re always happy to offer Ruud commercial air conditioner repair Fort Lauderdale, we want you to save money over the long-term by avoiding the frequent breakdowns and resultant repairs inevitable with inferior units. Not only does poorly-made equipment cost you money in repairs; it can bring your business to a halt if indoor temperatures become insufferable or heat-sensitive machinery incurs damages. Ruud puts real quality into the HVAC systems it builds. We’ve seen that for ourselves and our clients can attest to it. 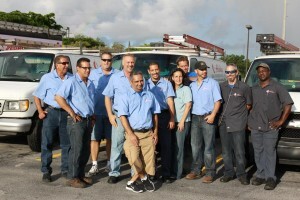 That’s we highly recommend Ruud commercial air conditioners Fort Lauderdale for your business. You can bet our AC technicians know what they’re doing. We’re fully licensed and certified, and we have decades’ worth of experience specifically working on Ruud commercial air conditioners Fort Lauderdale. Choosing an HVAC guy who knows what he’s doing is extremely important. 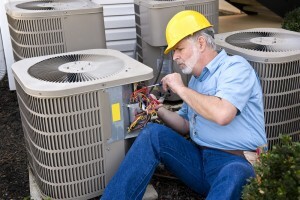 After all, the best air conditioner will have problems if the contractor does a poor install/repair job. Take a look at our Google Plus Page to See our Customer Reviews. Getting a new AC unit is a big financial investment. 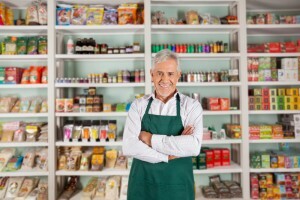 We want to make it as easy as possible for you to get the equipment your business needs. That’s why we offer convenient and flexible financing options. You can get your Ruud air conditioner today and pay-as-you-go. Unlike many HVAC companies in Florida, our services are available on an any-time basis! If you find yourself in need of maintenance, service, or repairs on a weekend or at the dead of night (air conditioners have the nasty habit of experiencing issues at the worst times), you can be sure we’ll be there to provide assistance. Give us a call today or fill out our online contact form. No one else in South Florida services Ruud commercial air conditioners Fort Lauderdale like Aloha Air Conditioning, Inc.
Come on, we wanna cool you!